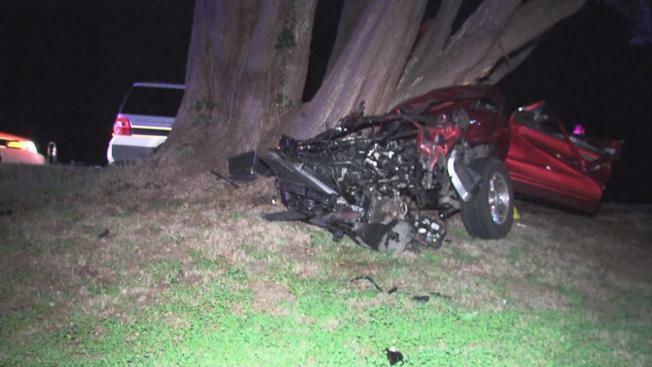 A woman driver was pronounced dead at the scene of a horrific crash into a tree in Half Moon Bay. A female driver was killed after she slammed into a tree in Half Moon Bay early Sunday. Emergency personnel responded to the scene on Cabrillo Highway near Redondo Beach Road just before 1 a.m. to find the woman, who was later identified as 21-year-old El Granada resident Mikaila Lucido, trapped inside her badly damaged midsize SUV. Crews attempted to free the driver from her car for roughly 25 minutes, but were unsuccessful, according to authorities. The road was wet at the time of the crash, but it was not raining, authorities said. Investigators with the San Mateo County Sheriff's Office's Major Accident Reconstruction Team will examine whether or not speed, weather, alcohol or drugs led to the crash.